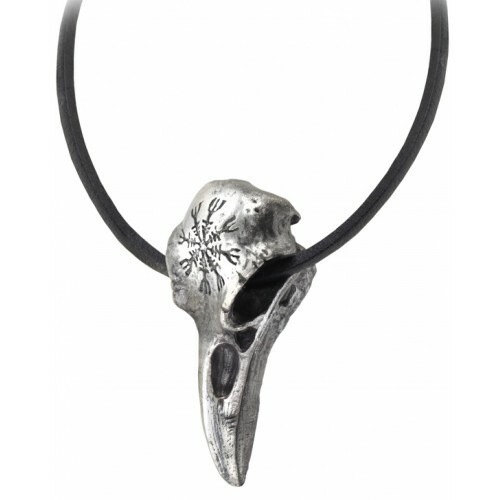 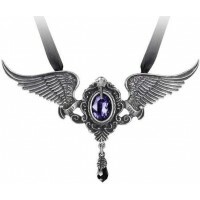 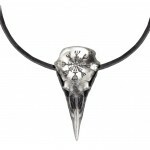 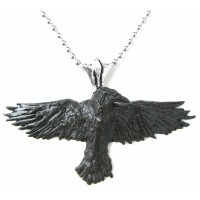 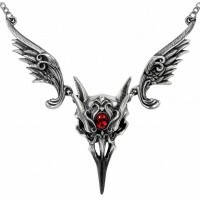 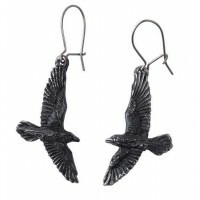 A ravens skull strung on a leather cord is the perfect gothic necklace. 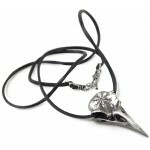 Made of fine English pewter with an antique finish, it comes complete on a 30 inch adjustable black leather thong. 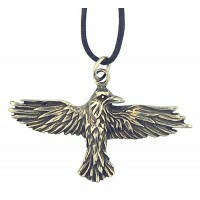 Item Number: AG-P687 | Approximate Size (Inches): 1.22 wide x 0.67 deep x 2.52 high | Approximate Shipping Weight: 0.25 lbs.